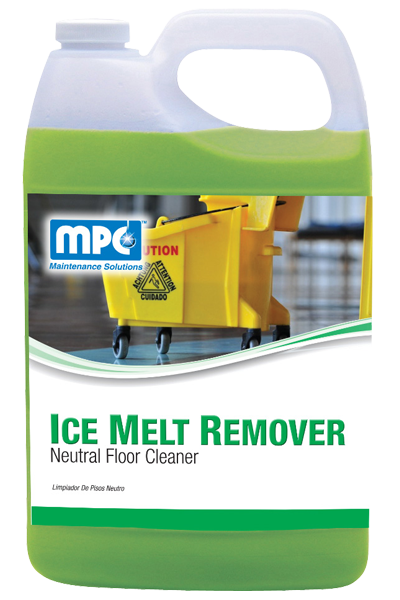 An all-purpose cleaner used to condition floors and remove ice melt residue, hard-water build-up, and soap haze from all surfaces. 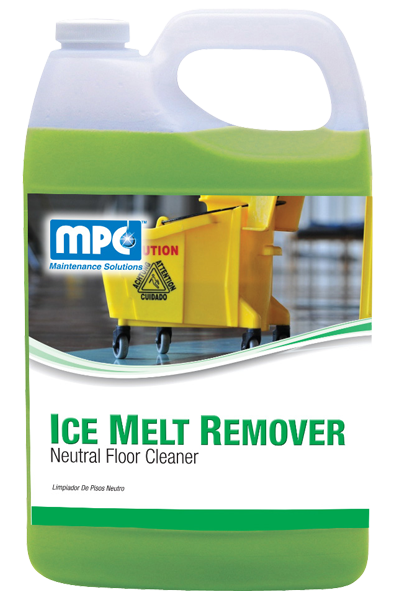 Designed to dissolve all ice melt chlorides, soap and hard water films as well as scum, scale, and other organic residues. When used as directed, it will not harm any surface not affected by water. Highly concentrated and economical to use. LIGHT RESIDUE REMOVAL: Use 3 oz. per each gallon of water. HEAVY REDISUE REMOVAL: Use 8 oz. per each gallon of water. 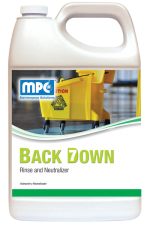 Apply product by mop, sponge, or auto-scrubber on surfaces to be cleaned. Allow a few minutes of dwell time for the solution to penetrate the residue. If necessary, agitate to help remove excessive soils. Wipe dry with clean cloth or rinse thoroughly with clean water as needed. SPAY AND WIPE APPLICATIONS: Dilute 1 to 1 with water. Spray on ice melt residue and let stand for 3 minutes. Use a clean microfiber cloth to wipe clean. Rinse with water. Weight per Gallon 8.57 lbs./gal.